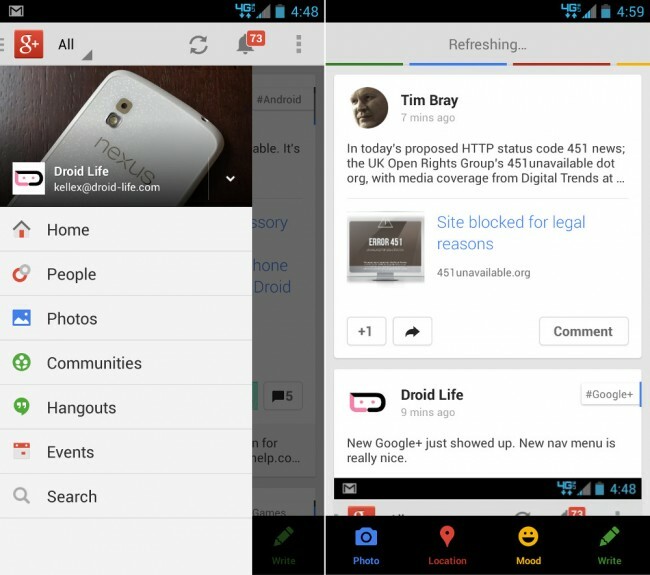 The sizable version 4.1 update for Google+ on Android that was teased earlier in the week is now rolling out to the masses. To recap, this update makes profile switching much easier, introduces Google Drive photo management, pull-to-refresh in the stream and notifications, improves location settings, and officially swaps out Messenger with Hangouts. It’s a good one, trust me. On a Chromecast front, the Chromecast app was updated to fix discovery problems that many devices were struggling with. Hopefully, this means that the OG DROID RAZR phones are not capable of casting fun. Fixed Chromecast discovery problems with some Android devices.